This year we've had the craziest winter (now spring) - looking at these photos made me realize that several days in January - March were much warmer than April. Luckily, kids excel at ignoring the thermometer. Once they start running and laughing - no cold breezes can hold them back. 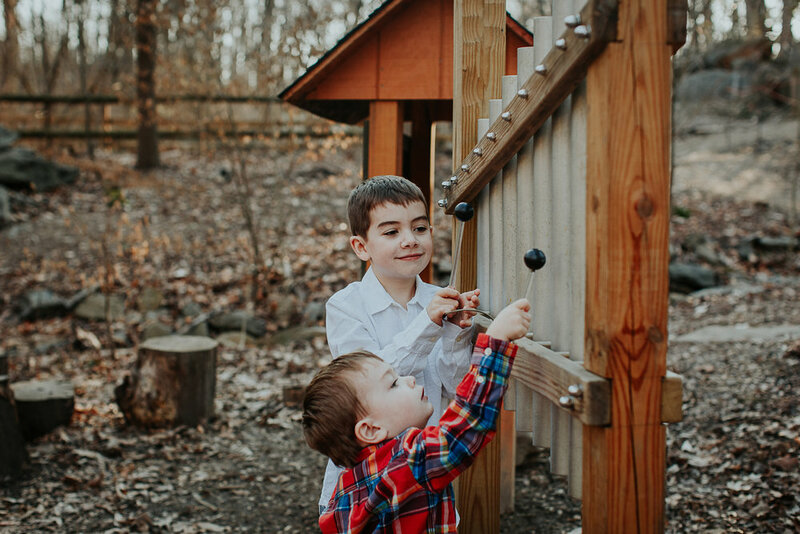 As any reader of this blog probably knows by now, I love dual location family shoots - where we take photos at home and at a park/playground/ice cream parlor. And I had so much fun with the M family. The kids made me laugh over and over again. I think every photo shoot needs an Elmo. After we ran around the park - we drove back to their house for some photos in the yard with the dog. I loved how excited the boys were to show me their favorite toys.